This film is not your typical production, which becomes apparent from the very opening scenes. The cinematography seems stagnant, somewhat distant, and poorly done in general from the start. What the audience may not know is that it was Steven Soderbergh, the director, who decided to have the entire movie filmed from an iPhone 7 Plus. While the film’s awkwardness because of this style is somewhat distracting at first, one is quickly drawn away as the plot thickens, and truly, having the film done from this perspective is very creative and feeds into the stalker theme, as if the stalker filmed the entire story. 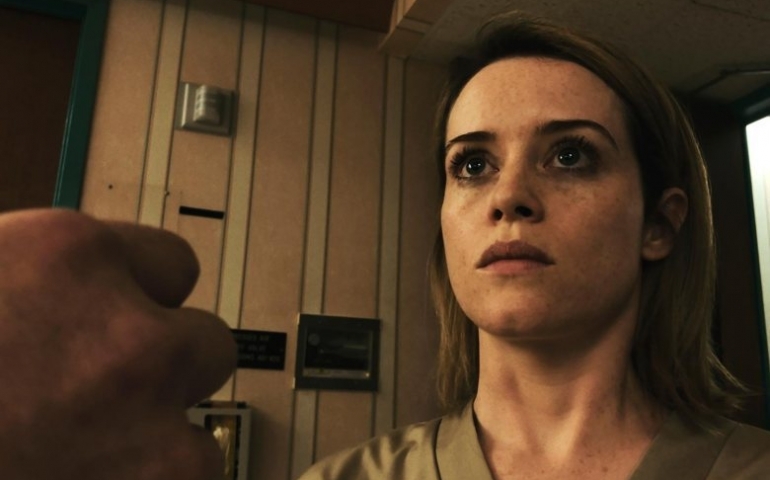 Judging from the previews of Unsane, it seemed that throughout the entirety of the movie, the viewer would be judging whether the protagonist, Sawyer (played by Claire Foy) was right about her stalker following her even into the hospital, proving that she was sane, or she is psychotic, imagining this stalker because of her paranoia. This, however, was not the case. Soderbergh did keep this issue up through perhaps the first quarter of the film, but the plot and draw for the viewer quickly becomes less about the mystery about this dilemma and more about how Sawyer plans to escape from her very real and very present stalker, who will stop at no end to get her to love him. In addition to this lack of mystery found in films such as Murder on the Orient Express and Gone Girl where the audience is left in the unknown, the film did not have very many plot twists, which in itself felt like the twist as a viewer who was sure that Soderbergh was about to pull something unexpected. Rather than make the last scene something like Sawyer waking up in a mental hospital from this bad dream, Soderbergh was focused on simply creating a horrific thriller. The fact that there was no great surprise was surprising, and that itself was a pleasant surprise. There were many messages that Soderbergh was seemingly communicating through the film, such as the inadequacies and corruption of hospitals as institutions as well as how mentally stable “normal” people are, but they were not properly developed. At the film’s conclusion, it was not clear how the audience was supposed to feel or assume concerning these themes. The hospital was met by law enforcement and investigators at the end, but were the workers there a part of the evil taking place or just blissfully guilty of bringing in a stalker? Was Sawyer’s vision of her then-dead stalker right before the credits a sign of her paranoia all along in spite of his actions or simply speaking of the effects of being stalked? Perhaps these unclear themes are a part of Soderbergh’s plan to promote discussion, but they nonetheless are unsettling. In a sentence, the movie was a uniquely enjoyable film because of its filming style, storyline and unusual cast (with the exception of Matt Damon as a cameo). It won’t be a flick to keep you guessing, but if you enjoy thrillers, I would certainly recommend it!